Imagine lazing in a hammock on a remote beach in the Indian Ocean. Discovering new destinations might seem next to impossible, but one of the wonders of travel is that there’s always someplace new on the horizon. Every holiday is a perfect chance to explore the world and see new sights, experience cultures and enjoy the most beautiful scenery in the world. However, sometimes we really want to get the wind beneath us and get a chance to see some of the most exciting and diverse exotic locations in the world. There’s so much on offer throughout the world from beautiful natural landscapes to tropical beaches and we’d all love to visit as many places as possible. If you’re planning an exotic holiday some destinations stand out from the crowds and here we take a look at 5 of the world’s best exotic holidays for anyone and everyone. Indian Ocean exotic destinations are within reach. The most beautiful ocean in the world offers the most refined and luxurious exotic destination: Mauritius, Maldives, Reunion, Seychelles and Sri Lanka. Here is a sneak peak for you holiday seekers. 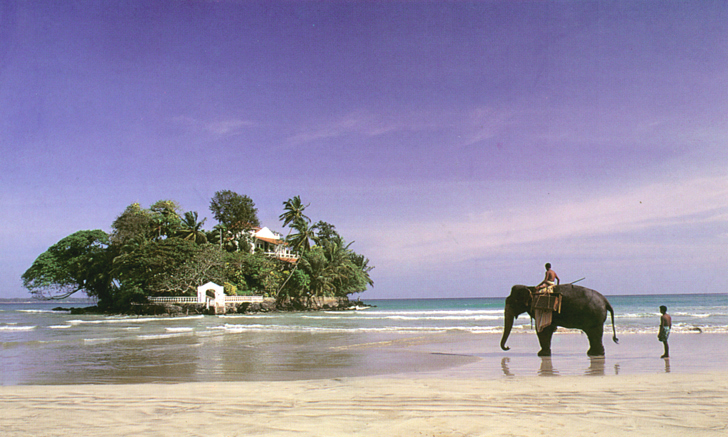 With nearly 1600 km of palm fringed coastline, Sri Lanka is the ideal destination for exotic holidays. May it be windsurfing, kayaking, yachting, water skiing, scuba diving or just lazing around for the perfect tan, Sri Lanka offers it all. 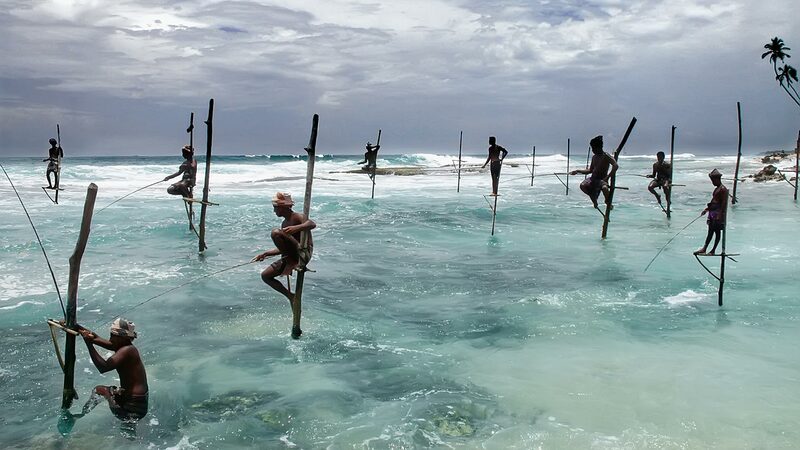 Despite Sri Lanka is famous for its splendor, the secret of Sri Lanka’s attraction lies in its people. The people of Sri Lanka are renowned for their big smiles and a bigger heart. With an enriched culture of three thousand years of knowledge, Buddhism and many colonial traditions, the Sri Lankan society is a potpourri of religions and races so different yet similar in many ways. Sri Lanka might be small in size but the island boasts one of the highest rates of biological endemism in the world whether in plants or animals and is included among the top five biodiversity hotspots in the world. Of the ninety-one species of mammals found in Sri Lanka Asian elephants, sloth bear, leopards, sambar and wild buffaloes engages the majority of the attention of wildlife enthusiast. Yet the rarest mammals of Sri Lanka are the red slender Loris, Toque Macaque, and Purple-faced Langur, who are endangered due to habitat loss. Other than taking a dip in the ocean or snorkelling, scuba diving and surfing are the most popular beach sports on the island. Scuba diving has long history in the country. Today the waters around the island are full of coral gardens, multitude of exotic fishes and ancient wrecks. 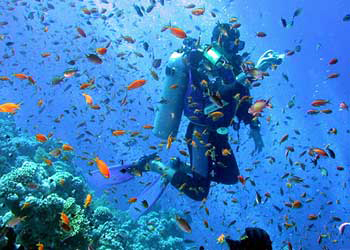 Sri Lanka offers one of the best diving experiences in the world. Although comparatively new to the country surfing too has made its mark in the Southern and Eastern coasts of the island. The sea around Sri Lanka is also one of the most challenging marine game fishing locations while white water rafting, Kayaking and canoeing are some of the relatively new water sports that can be practiced in the country. With varying climates packed into a small island Sri Lanka offers a range of adventures from the top of the mountains to the depths of the oceans. The two monsoon winds provides rain to the two corners of the country at various periods and makes Sri Lanka’s beach holiday a year round prospect. The north east winds make the south western coast sunny and the sea calm from November to March. The South West winds make the East Coast waters quiet with the constant sun shine happily in harmony. Located in the heart of the Indian Ocean, at the South of India and West of Sri Lanka, the Maldives owe their beauty to a unique geological formation. The Maldivian archipelago is exclusively composed of Atolls, about 26 in total, protecting in their hearts a marvelous array of small and perfectly drawn tropical islands (Approx. 1200) and thousands of kilometres of coral reefs. Of these 1200 islands, about 200 are inhabited by Maldivian people, a bit more than 100 are allocated to Resorts and the other 800 islands and sandbanks remain completely deserted. The islands can be very tiny with only a few tens of meters in diameter. The largest reach more than a kilometre like Male, the capital, with 1.5 km or others, like Gan, the largest, located in the Southernmost part of Maldives, in the beautiful Addu Atoll, with 6 kilometres long and 3.4 kilometres wide. Most of the resorts barely reach an average of 400 meters and home of the largest resorts include Kuredu, Meeru, Kuramathi and Sun Island whose lengths are between 1 to 1.7 kms. Beyond lagoons and Paradisiacal beaches, the Maldives have also a very long history punctuated with rising and falling where many secrets still have to be revealed and discovered.If you love to discover historical sites during your holidays and have visited Maldives, you might have felt disappointed and sceptical about Maldivian history.This is a common misconception.On the contrary, Maldives have a rich and long history dating back to thousands of years ago. Many ancient and major civilizations (Phoenicians, Mesopotamians, Greeks, Egyptians, Chinese, Europeans…) have let their influences or their cultures in the Maldives. Common historical sightseeing in Maldives often includes the old Sultan’s Palace with its National Museum and HukuruMiskiiy- the oldest mosque in Maldives. But many reminiscence of the past can be found or remain still undetected by Archaeologists among the archipelago. Excavations are still running today and can be sometimes performed on long periods due to the singular and extremely extended geography of Maldives. Their climate is tropical equatorial, generally humid and warm with 2 seasons called Monsoons.With a distance of 800 km from North to South and the Equator crossing the country, the weather conditions will vary according to your location in the archipelago. As a consequence, the standard weather forecasts for Male( center North Maldives ) generally found on the internet will not be valid for the entire archipelago, mostly the Southern part, under the Equator which will require forecasts for Gan. It’s hard to have a bad holiday in the Maldives. It’s safe, warm, picturesque, and has high standards in hospitality. But the resorts, and atolls, and seasons are all different. 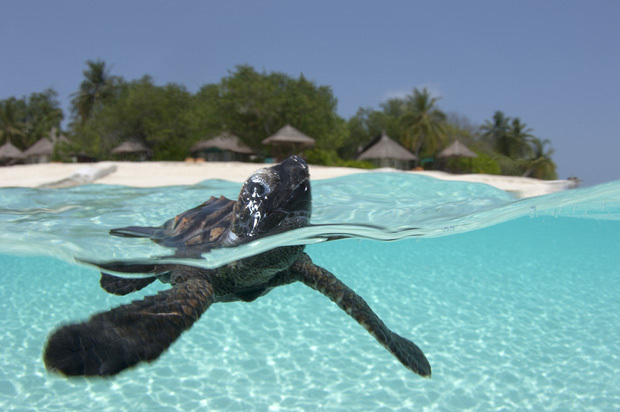 Find out what the Maldives is really like – and how to experience it at its best. The very name conjures up an image — white sandy beaches with swaying palms, turquoise blue lagoons bordering deep blue seas, clear blue skies and a favorable climate, in other words, a picture perfect dream getaway! 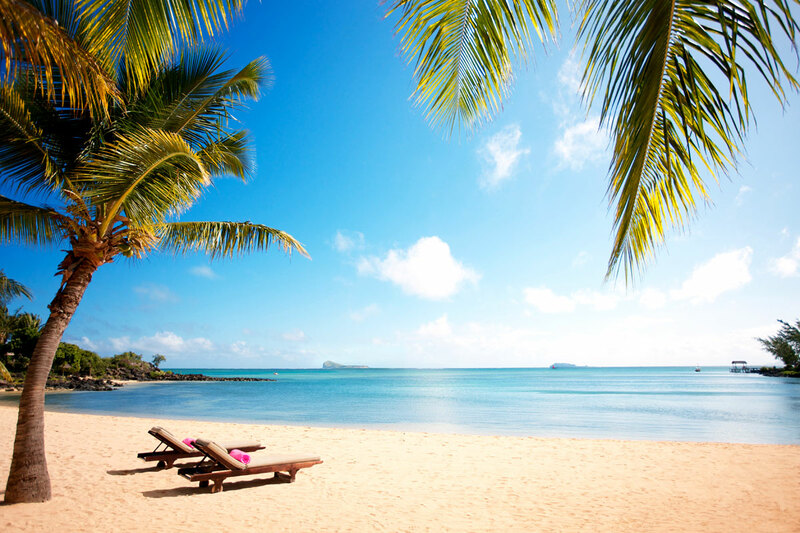 You will definitely be conquered by this haven of sparkling lagoons and vivid coral reefs, Mauritius is yet another pearl of the Indian Ocean, and its waters are equally as magical as the island itself. You will have the chance to experience this rare natural beauty by setting sail on board with Caro and Dino to explore the waters of Mauritius in company of those magnificent mammals- the dolphins. 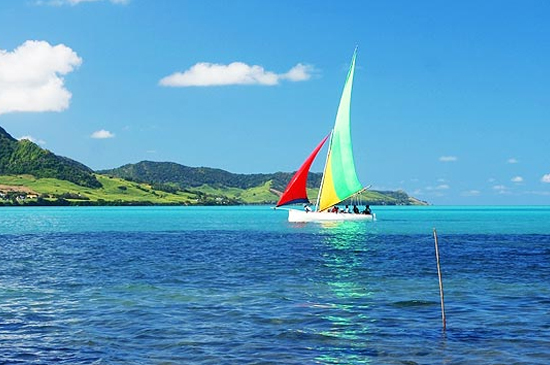 Whether you’re in the first flushes of romance or reigniting a long term passion, a sunset cruise at one of these stunning resorts will be a treasured memory for years to come.Driving from the airport, one could not miss the well laid highways and country roads flanked on either side by sugarcane plantations, the crop being cultivated extensively across the island. 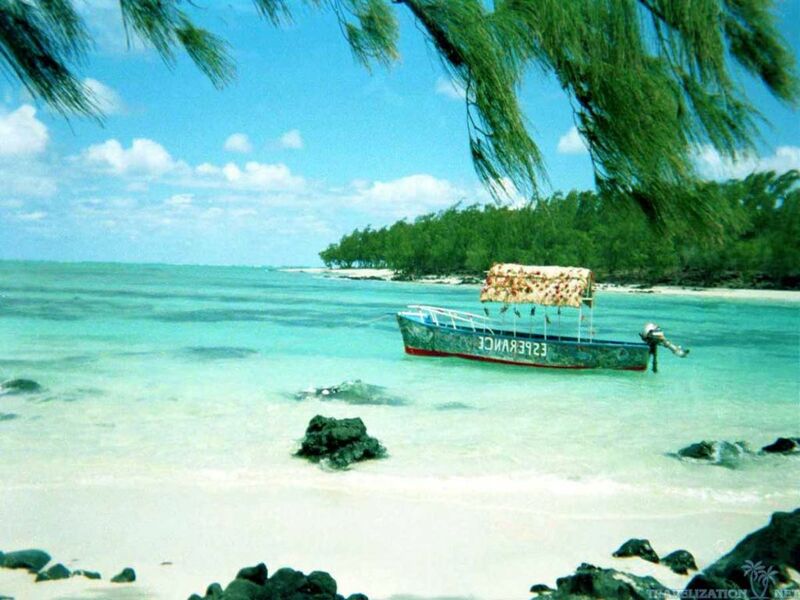 Mauritius also boasts a number of top notch hotels offering 4* and 5* services. You can either lodge in a hotel or a villa. And if you want to re-visit Mauritius at the time it was still a colony, you can enjoy a visit of the Chateau Labourdonnais and taste the local rhum during your tour around the island. Mauritius is not far from the Capricorn. That means that the sun is longer at its highest point than anywhere else. It is a lush tropical island and it is very green here. For sure, there must be some rain coming down here as well… Usually in winter (means May to October) the highest temperatures vary between 20°C and 26°C in the coastal regions. 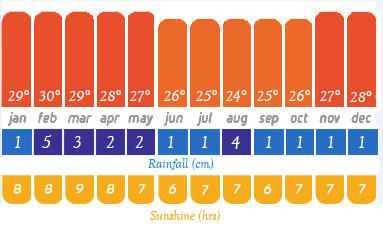 In summer (November to April) it’s slightly higher, meaning 26°C to 32°C . The water temperature of the Indian Ocean can go up to 28°C. Usually wind is blowing quiet steady from easterly directions. But one thing you need to know is that Mauritius has a micro-climate: It could rain cats and dogs where you are. Only a few kilometers away sun is shining and no cloud in sight. If you wake up in the morning with a gray sky, don’t worry. Go for your shower, have breakfast. After this the sky will be blue. 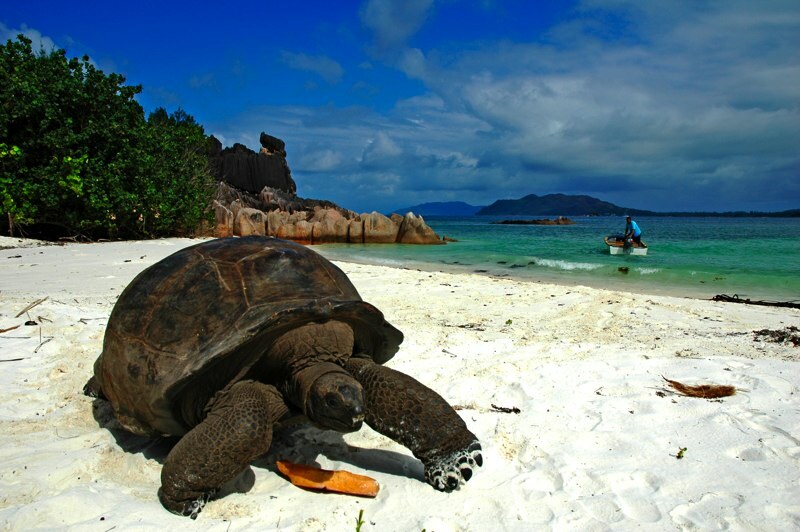 The Seychelles islands have become a favorite destination for people all over the world. If you would like to relax, enjoy and spend wonderful vacations, it is the place to be. 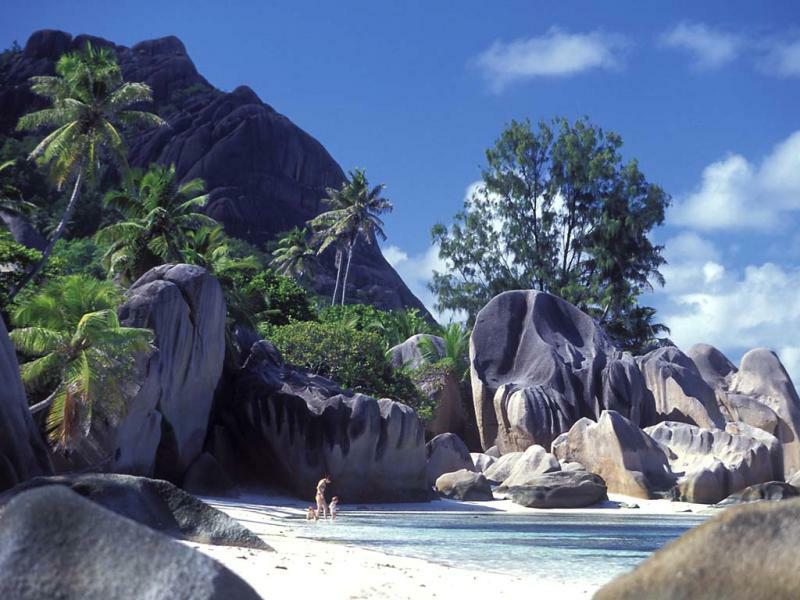 You’ll be glad to know that Seychelles is a place where making your own travel plans is no big task. If you have decided to plan your trip without asking help from a travel agency, also for you to save up on expenses, you should first get documentation and necessary information from the Seychelles Tourist Office or even from Air Seychelles. The first thing you would need to know is the cost of air tickets to Seychelles which you may choose to buy from Air Seychelles or the travel agency of your choice. Then you can rent a car as your modes of transportation in Seychelles (aside from the boats or yachts) and of course, never forget your accommodation. A bungalow, a villa, hotels, etc. – there are a number of choices for you in Seychelles but you have to book in advance to ensure that you arrive in the islands with a place to stay in. Most of the hotels in Seychelles have really beautiful views and are just a short walk from the beach. 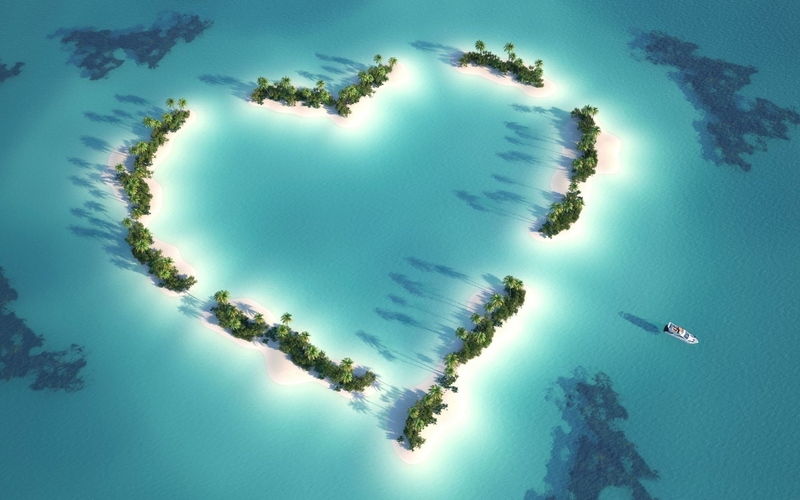 Take note though that there are a few islands that only have a single hotel such as Denis Island, Bird Island, Silhoutte, D’Arros, Desroches, Frigate, etc. This is the largest island in the city and is said to be the “transportation hub” for an island hopping activity as well as an excursion to other islands within Seychelles. If you are a beach lover, then never miss out on visiting the island of Praslin as it is proud of having a number of amazing beaches like Anse Lazio, AnseBoudin, Anse Possession, AnseKerlan, Anse La Farine, and a lot more. This is the home to the rare black paradise fly catcher as well as a number of legendary beaches an example of which is the Anse Source d’Argent. Lying 4°-11° south of the Equator, in the western Indian Ocean, Seychelles has a tropical climate: warm and humid with strong maritime influences. The temperature is consistently 24-32°C, there is no distinct dry season and there is some humidity at all times. Many of the granitic Inner Islands have dramatic terrain; Mahe boasting hills rising to 900m. The rainfall increases with altitude. From May to October the south-east trade winds (Southeast Monsoon) bring a relatively dry period. Reaching its peak in July/August, there is little precipitation and temperatures average 27°C, though seas can be a little choppy. By November (pre-Northwest Monsoon), the winds start to change, bringing light, warmer winds and the start of the main rainy season. During December to March (Northwest Monsoon), Seychelles gets extremely wet, especially in December and January, though the vegetation is lush, the winds generally light and the sun at its warmest. Eight hundred kilometres east of Madagascar, the French overseas department of Reunion Island is a walking destination by excellence! 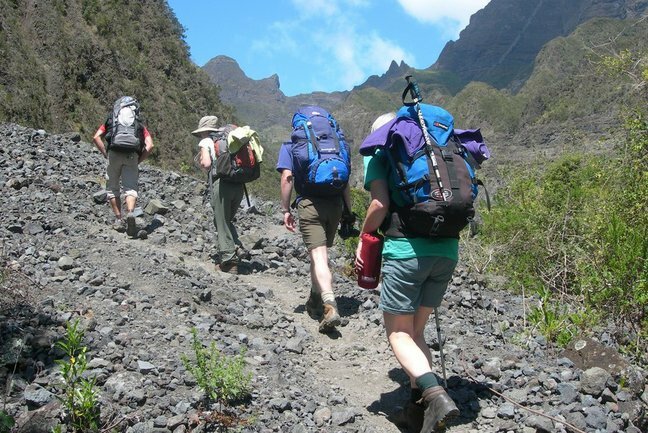 The far-flung volcanic Reunion Island, with its intriguing mix of African and French cultures, rises to over 3000m and its rugged interior boasts a network of walking trails which would not look out of place in Nepal. Three vast eroded cirques, Salazie, Mafate and Cilaos, dominate the centre of Reunion Island and provide the backdrop for this surpriing walking adventure holiday. Walking through forest and farmland, our trekking takes us across high passes, descending to spend time in and explore friendly villages. 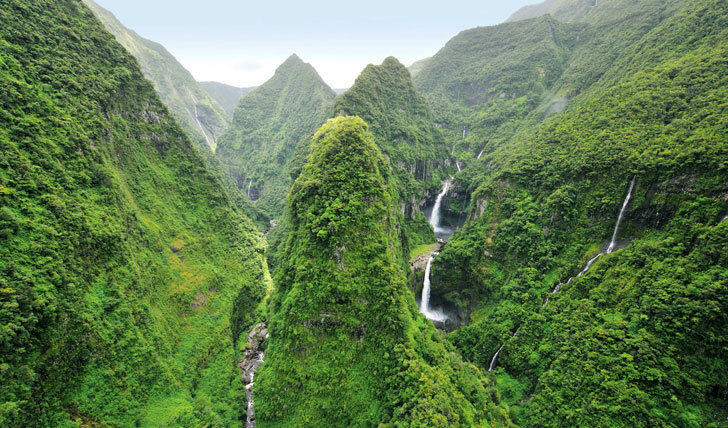 Luxuriant vegetation, exotic bird species, towering waterfalls and hot springs to are all part of the scene on the endearing paradise of Reunion Island. Trekking to the summit of Piton des Neiges (3070m) at dawn, we can look across to our final objective, Piton de la Fournaise (2632m), an active volcano which erupted as recently as last month. What to do in Reunion? You will obviously need to find a place where you will lodge and Reunion island has a lot to offer in terms of accommodation. From hotels to residences to apartments, Reunion has it all. Good swimming and diving are to be found along the Sous le Vent coast, especially at Saint-Gilles-des-Bains, which has a reef-protected lagoon. 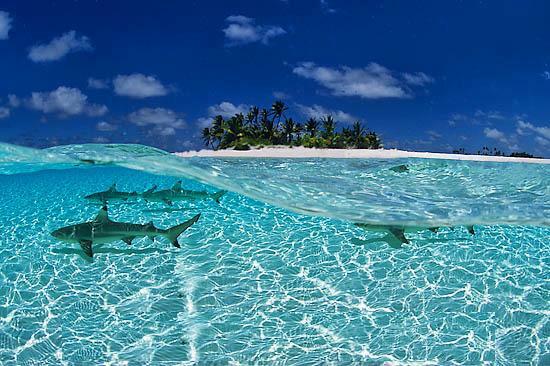 On the more remote beaches, sharks may be a danger, so it is best to enquire locally. Surfing can be practised in Saint-Gilles, Saint-Paul and Saint-Pierre. There are excellent walking opportunities in the mountains. The island has over 600km (370 miles) of marked footpaths. Good climbing is to be had among the volcanic peaks. Cilaos, once infamous as a refuge for escaped slaves, is a lovely mountain area rising to about 1,220m (4,000ft) with impressive views from Le Bras Sec and Îlet à Cordres. Go trekking around the Plaine d’Affouches in La Montagne, lined by lush tamarind trees and calumets, a type of wild fig tree. From Brûlé, a footpath leads to the Roche-Écrite, a 2,227m- (7,306ft-) high summit which overlooks the whole of the northern part of the island. 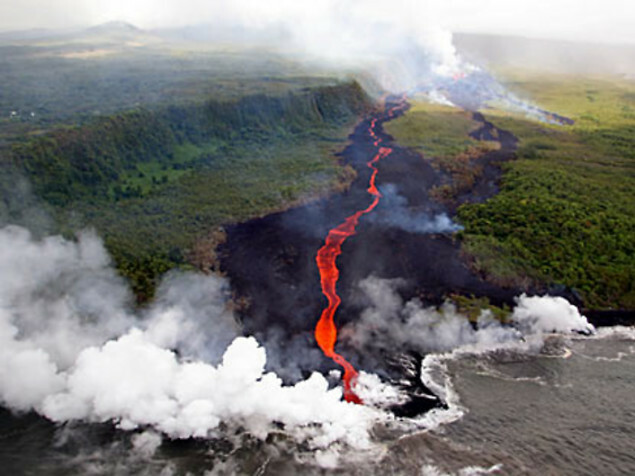 The massive Piton de la Fournaise basaltic shield volcano on the Réunion is one of the world’s most active volcanoes. Much of its >530,000 year history overlapped with eruptions of the deeply dissected Piton des Neiges shield volcano to the NW. The Enclos Fouque crater and the highest peak of the 2,631m (8,632ft) Fournaise can both be explored on foot. The still active Bory and Brûlant craters are also interesting excursions. It last erupted recently in the month of June 2014. 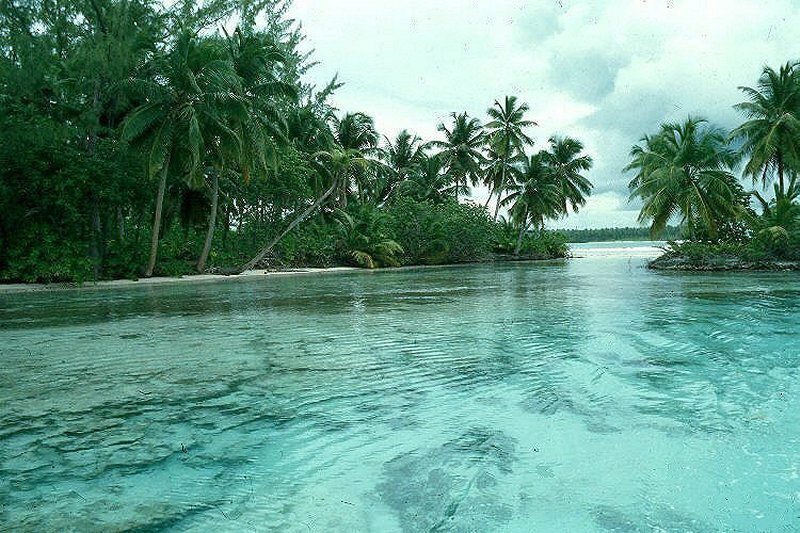 The climate is tropical and humid and the sea temperature rarely drops below 23°C! Summer lasting from December to March has an average temperature of 26°C on the coast. Winter is from April to November with an average temperature of 20°C on the coast. However, as one moves inland, and up, the temperature drops progressively – so, do not forget some warm clothing if you intend to trek the cirques. It actually snowed in the ‘heights’ in October 2006 and for once the “Piton des Neiges” at 3072 metres lived up to its name. You now have a broad choice of destinations to choose from. You can either choose one or simply visit them all during a tour or cruise around the Indian Ocean. But one certain thing is that you will definitely discover splendid islands and enjoy unparalleled holidays in those wonderful exotic destinations.